Ask us about our AAA and senior discounts and we can help you. At King’s Transmission Auto Service Center in Kent, WA, and Renton, WA, we proudly provide our community with trustworthy and quality auto repair. We staff the top experienced ASE Certified Technicians and are part of multiple associations, including BBB, AAA, and ATSG. Our shop is also certified with parts suppliers NAPA, O’Reilly, and Olympic Brakes. We can handle any service or repair for most makes and models of vehicles, from transmission rebuilds to regular maintenance. Although our shop has been around since 1985, ownership was taken over by Eric Christman in 1990. He has been in the automotive industry for over 32 years, starting in the auto repair field directly out of high school. He chose the auto repair industry because he enjoys working with his hands and auto repair just came naturally. Outside of auto repair, his hobbies include spending time with family and mountain biking. At our Kent, WA and Renton, WA auto repair shops, we strive to give back to our communities whenever we can. We are involved in multiple local charities including Cystic Fibrosis, March of Dimes, veteran causes, and various youth sports organizations. Our goal is to be good citizens and provide quality work at equitable prices. 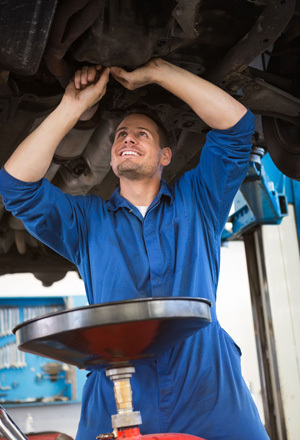 If you’re looking for an honest auto repair shop to entrust with your vehicle, look no further than the experts at King’s Transmission Auto Service Center. Give us a call or request an appointment today!